Saturn return is challenging yet he is a good teacher. You will survive, become more mature and hopefully closer to the image of God after this interesting transit. 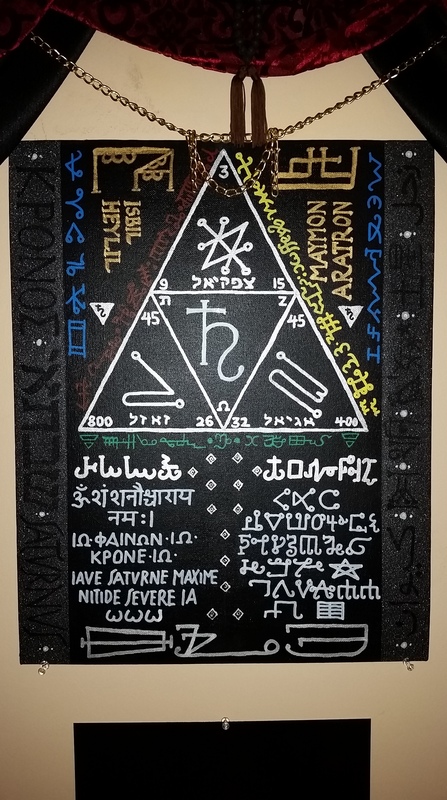 The wall art is intelligent, thoughtful and magical. Love it! 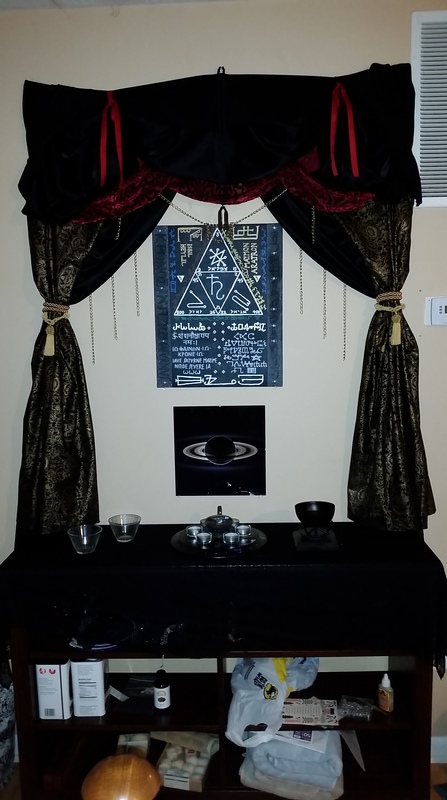 I have a smaller program of offerings and veneration of the seven planetary powers, which usually offers myrrh incense and the lighting of a black candle at dawn on saturdays. And I wrote a poem for Saturn which I recite along with the Thomas Taylor Orphic hymn to Saturn. That’s about it. Hi is this not satanism? It is most certainly not satanism.